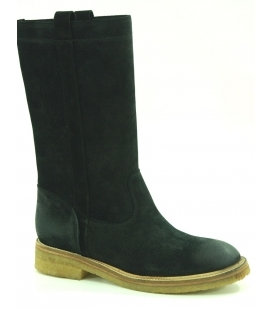 In winter the shoe preferred by women is for sure the boot. It can be chosen from a wide range of models: from those knee to ankle boots, leather, suede or rubber, crocodile or python, with high heels or ultra flat, classic or with studs applications, crystals or fringed , colorful or classic, from the tip round or tapered, Texas-style, from the wooden heel and decorative elements of metal, with edges and interior fur. 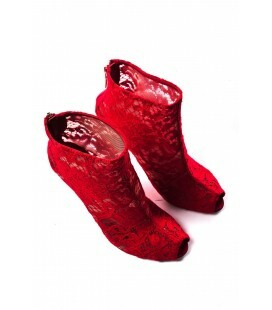 The possibilities are many and the boots fit any type of outfit from casual to the most elegant. You can wear them with a skirt, mini dress or with pants. 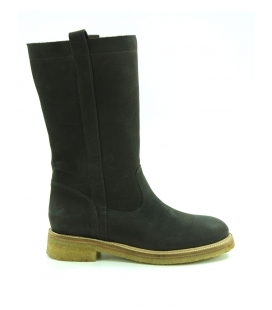 This versatile and comfortable woman shoe can not miss in your wardrobe: Search in our store the boot for you! 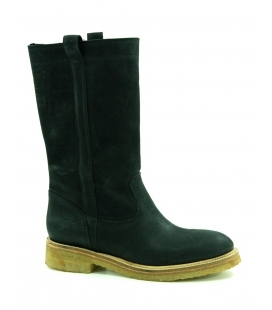 Boot in black suede open toe, inside zip, zip front with decorative rhinestones.